Roadway closures magnify the adverse effects of disasters on people since any type of such disruption increases the emergency response travel time (ERTT), which is of central importance for the safety and survival of the affected people. Especially in the State of Florida, high winds due to hurricanes, such as the Hurricane Hermine, lead to notable roadway disruptions and closures that compel special attention. 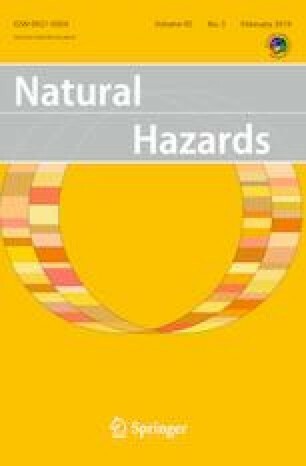 As such, in this paper, the accessibility of emergency response facilities, such as police stations, fire stations and hospitals in the City of Tallahassee, the capital of Florida, was extensively studied using real-life data on roadway closures during Hurricane Hermine. A new metric, namely Accessibility Decrease Index, was proposed, which measures the change in ERTT before and in the aftermath of a hurricane such as Hermine. Results clearly show those regions with reduced emergency response facility accessibility and roadways under a disruption risk in the 1-week window after Hermine hit Tallahassee. City officials can pinpoint these critical locations for future improvements and identify those critical roadways, which are under a risk of disruption due to the impact of the hurricane. This information can be utilized to improve emergency response plans by improving the roadway infrastructure and providing alternative routes to public. The authors would like to thank the City of Tallahassee, especially Michael Ohlsen and John Powell, for providing data and valuable insight. This research is partly supported by US NSF Award 1640587, and United States Department of Transportation Grant DTRT13-G-UTC42, administered by the Center for Accessibility and Safety for an Aging Population (ASAP). The opinions, results and findings expressed in this manuscript are those of the authors and do not necessarily represent the views of the City of Tallahassee, the United States Department of Transportation, the Center for Accessibility and Safety for an Aging Population (UNF). This study was funded by US National Science Foundation (Grant No. 1640587) and United States Department of Transportation (Grant No. DTRT13-G-UTC42).